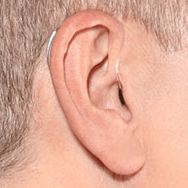 Hearing aids come in many shapes, sizes, wearing styles and functionality. Most hearing aids are fully customizable, and their designs and features treat a range of hearing losses. All hearing aids share the same components. The styles in which they are worn determine the way these components fit together. 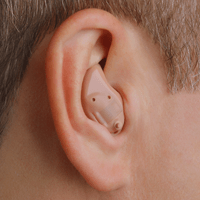 In-the-ear (ITE) hearing aids are work inside the ear, with the shell of the hearing aid at the surface of the ear. ITE hearing aids house all of their components in a plastic shell. These hearing aids benefit people who wear glasses or experience arthritis. 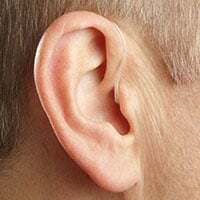 ITE hearing aids are easy to insert, however they may not appeal to people who prefer a more discreet aesthetic option. In-the-canal (ITC) hearing aids are a form of ITE hearing aids, worn deep inside the ear canal. These are usually custom made devices made to fit inside your canal, which gives them the benefit of being visually discreet. ITC hearing aids may be difficult for people with dexterity issues to control, while the lack of a directional microphone means they are better suited for people with moderate levels of hearing loss. They come in completely-in-canal and invisible-in-canal styles. Behind-the-ear (BTE) hearing aids are worn on the back of the ear with a plastic tube that delivers sound to a custom ear mold. BTE hearing aids are easier to control and treat a wide range of degrees of hearing loss. They may be inconvenient for people who wear glasses. 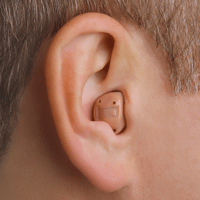 Receiver-in-canal (RIC) hearing aids look like BTE hearing aids; the difference is that the receiver is worn in the canal. RIC hearing aids are discreet and treat a wide range of degrees of hearing loss. Like BTE ones, they may be too large for people who wear glasses. 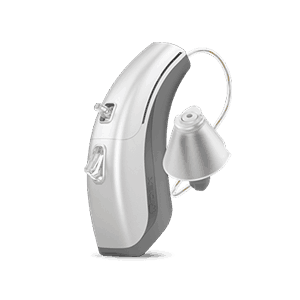 Oticon is a leading Danish manufacturer of hearing aids, known for their groundbreaking BrainHearing Technology. With the understanding that it is the brain that hears, Oticon has designed technology to assist the brain as it processes sound and speech, in diverse sound environments. Starkey is an American manufacturer of hearing aids, known for their Halo 2 Made for iPhone hearing aid and the new Muse Made for Life hearing aid. Starkey creates products that increase accessibility for their wearers. In 2015, Starkey won a Silver Edison Award for their Made for iPhone technology. Phonak is a Swiss manufacturer of hearing instruments, which treat a wide range of hearing loss. Their latest innovation is the Lyric, the world’s first 24/7 fully invisible hearing aid, which can be worn for four months without replacement or removal, even in the shower. Phonak also offers tinnitus and single-sided hearing devices. Rexton is a hearing aid manufacturer with 50 years of experience, using the feedback of hearing professionals to craft their instruments. Their new QuadCore technology simulates binaural hearing to give wearers a better sound picture. Rexton offers a large catalog of hearing devices, from ITE to BTE to ITC, all to treat a wide range of hearing loss.